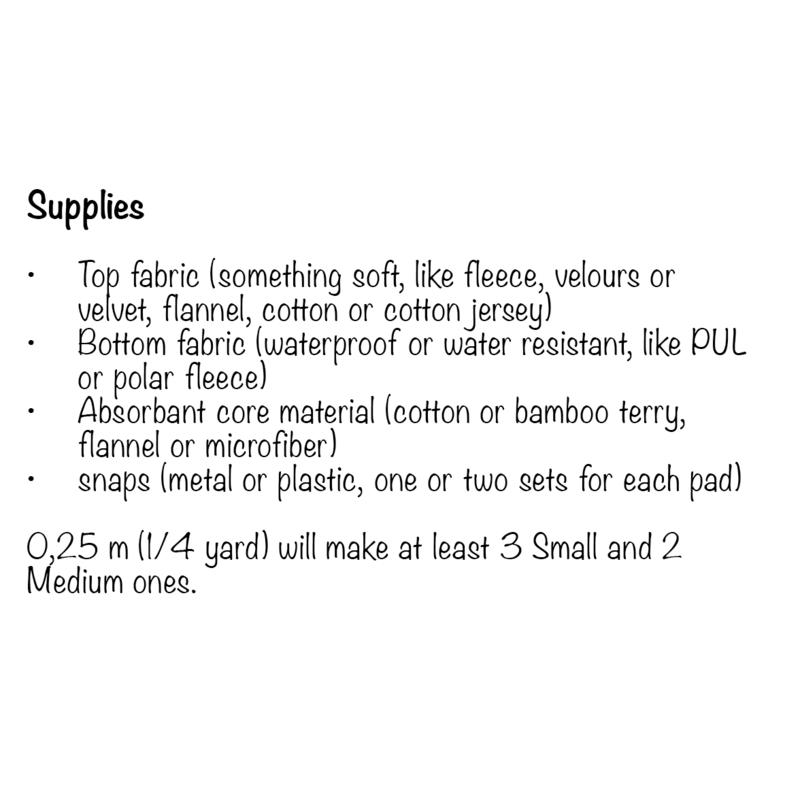 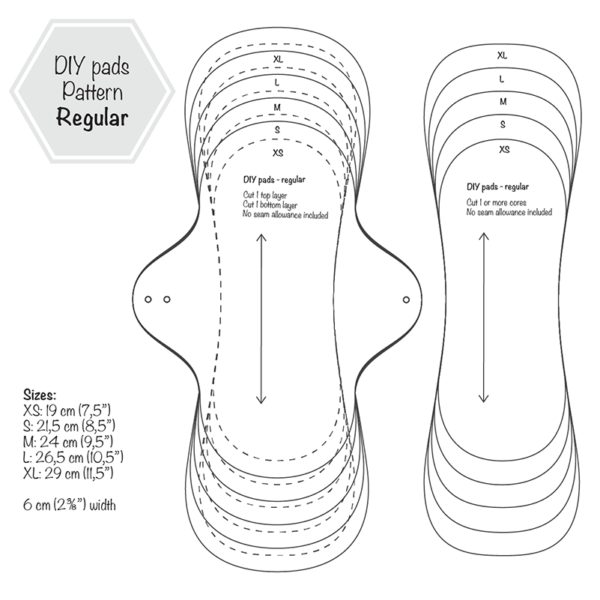 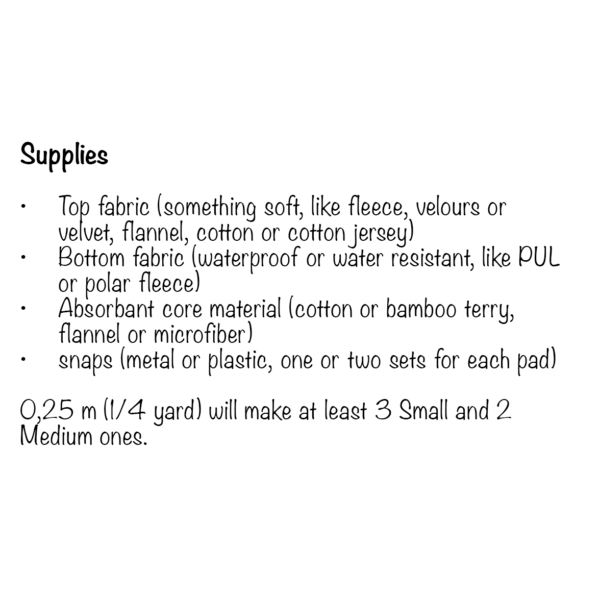 With this pattern you can make your own reusable cloth pads. Better for the environment, your wallet and your skin! With this pattern you can make your own reusable cloth pads. 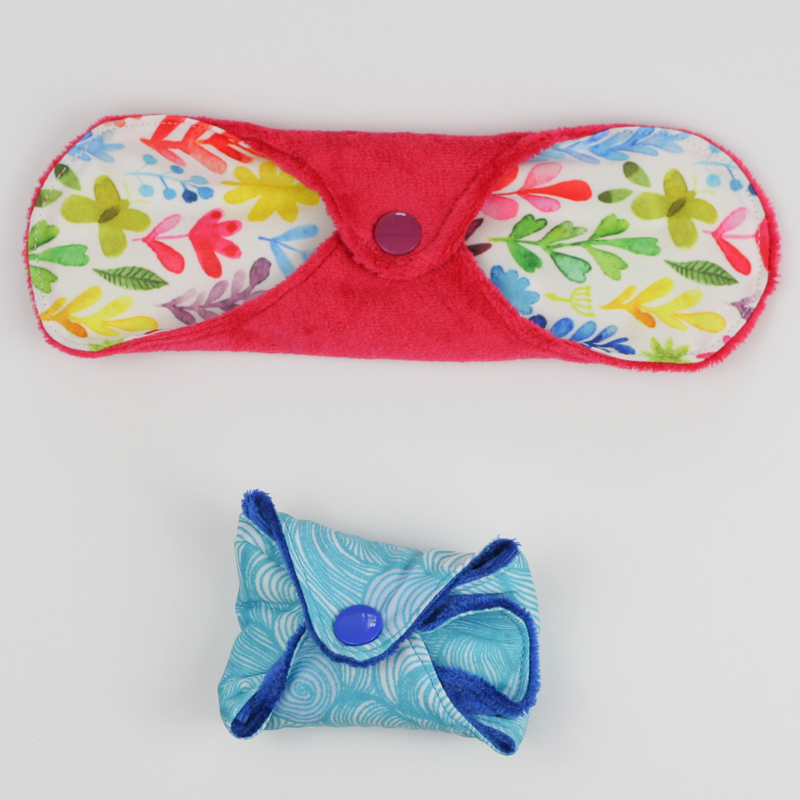 Better for the environment, your wallet and your skin! Comes in 5 sizes, each with it’s own use. 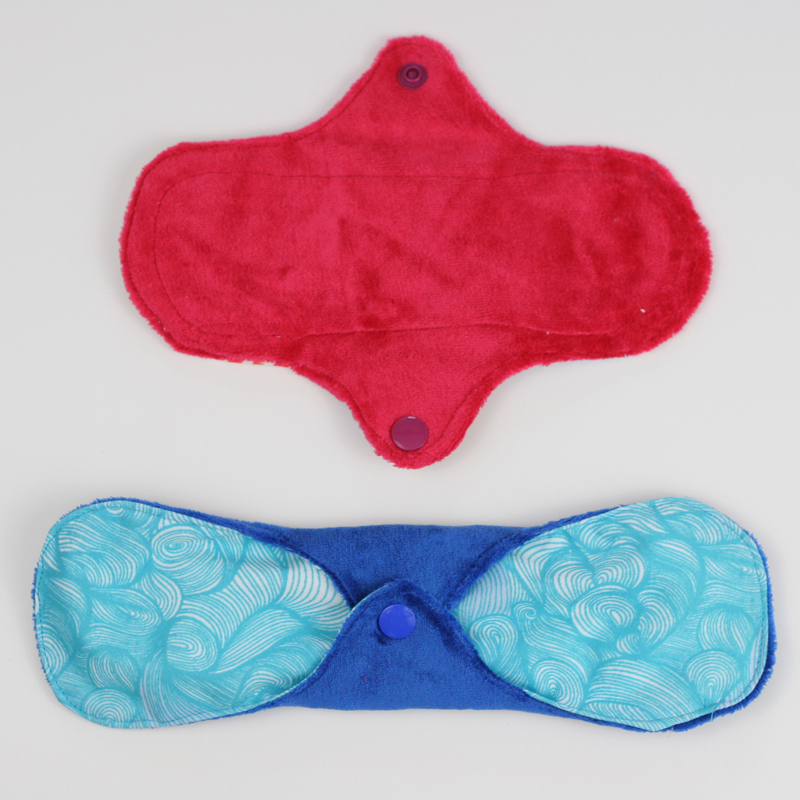 You can use the XS as a liner throughout your cycle or during pregnancy when you might have more discharge. 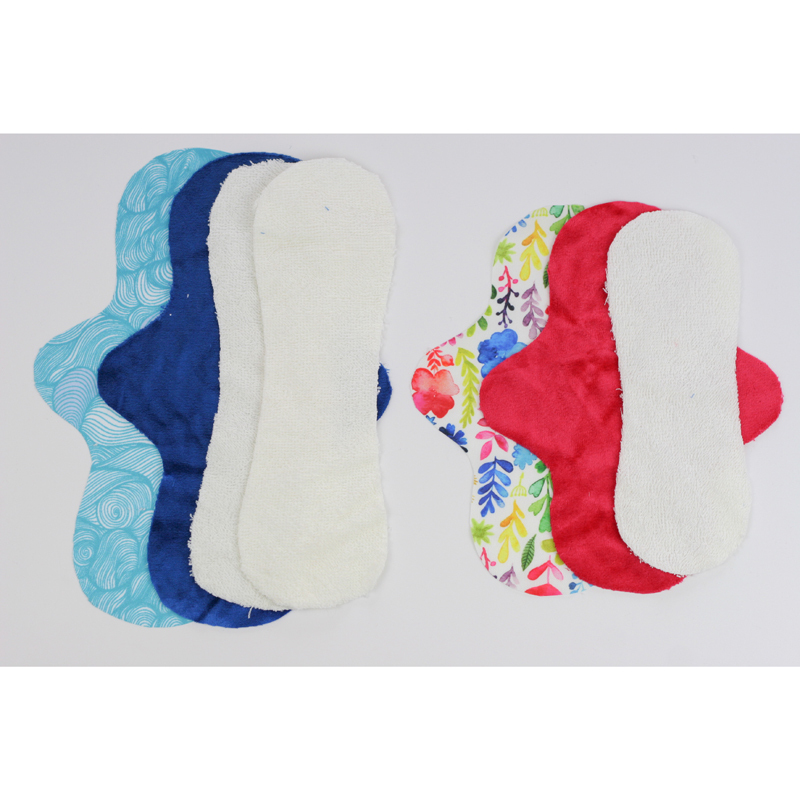 The sizes S-M-L are perfect for daily use during your period, and the XL can be used at night or postpartum.